Hi friends! And the popsicle trend continues! 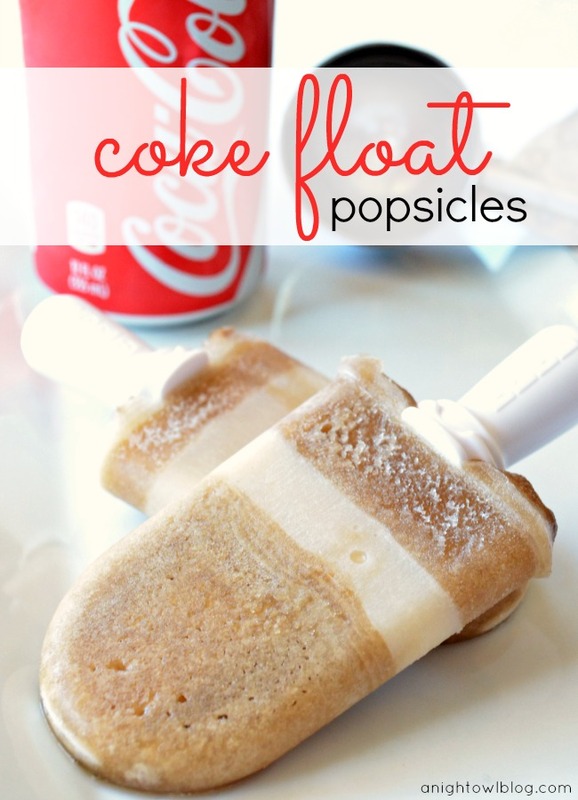 As the weather is warming up, we’re breaking out our pop makers and getting creative with some of our favorite popsicle recipes like our beloved Sweet Tea Popsicles, Coke Float Popsicles and our Orange Julius Popsicles! 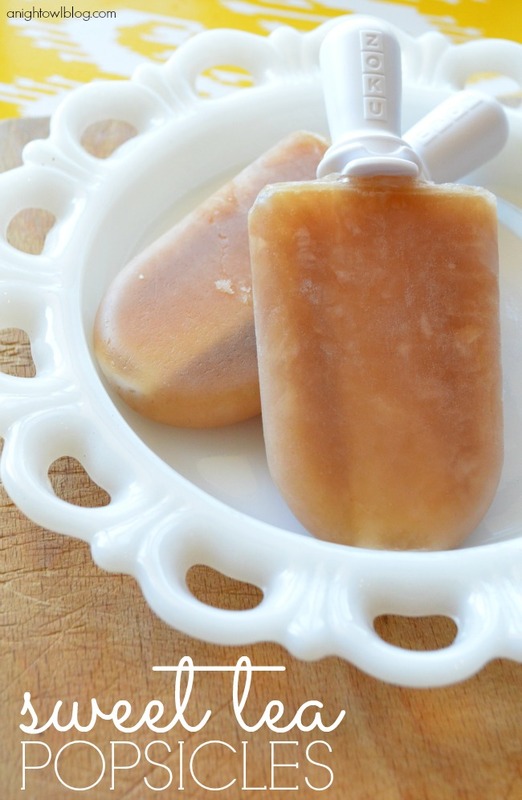 Popsicles are always a huge hit – with our family and our readers! 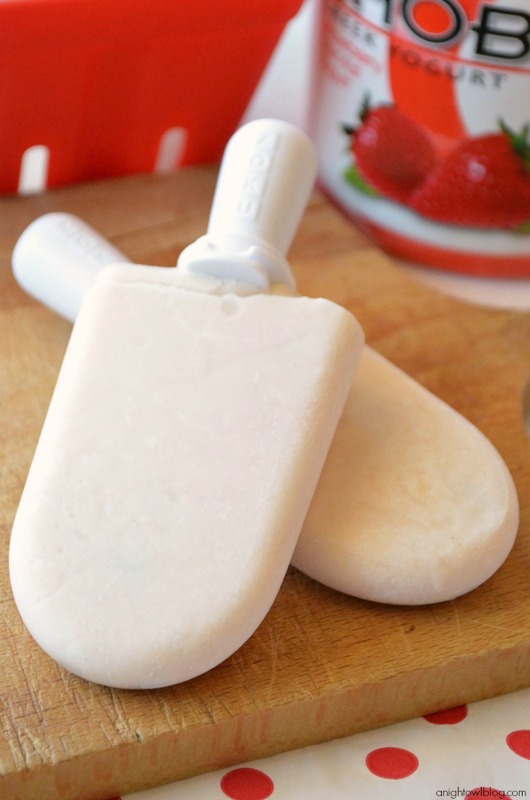 I shared these perfectly yummy and healthy pops at I Heart Naptime last year but not here – these Greek Yogurt Popsicles! Do you love Greek yogurt? I do! And it’s a good thing. I’m a complete ice cream and sweets addict, so finding something that is just a little bit better for me is certainly welcomed. One day while eating a little cup of frozen Greek yogurt I thought – hey I bet that this would make one tasty popsicle! And I was right – it does! 1 cup Greek Yogurt any flavor! Simply combine your Greek yogurt, orange juice and honey in a small bowl or measuring cup. 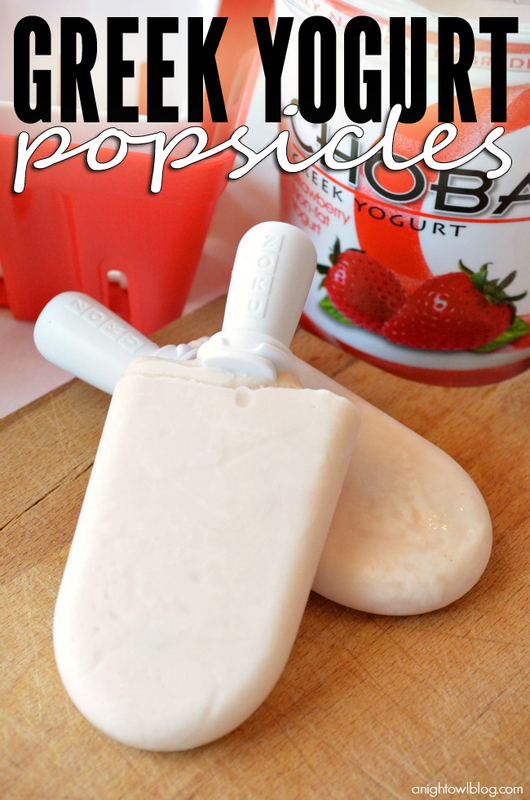 Pour yogurt mixture into popsicle molds and freeze until solid and enjoy! 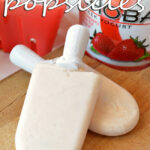 And the result is one sweet and tasty Greek Yogurt Popsicle! Now I used strawberry Greek yogurt for mine, but I think just any flavor would be delicious, don’t you? Now I can enjoy Greek yogurt a number of different ways! This is also a perfect treat for the kiddos. My boys love them! But then again, what kiddo doesn’t love popsicles? Mine get excited every time I pull our popsicle maker out! And this is one treat I don’t feel bad about giving them. 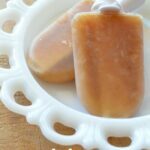 In fact, when you make your own popsicles, you can control just how much sugar and what kind of ingredients you put into them. Hope you enjoy as much as we do! 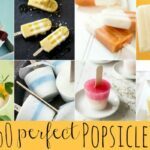 50+ Perfect Popsicle Recipes – The Ultimate Summer Survival Guide! I love Greek yogurt sooo much, and these look delicious! These look sooo refreshing and I love Greek yogurt so I’m definitely pinning these for later! I hope you enjoy them, Julie! Thanks for stopping by! Oh Kimberly, I love the Orange Julius and my grand kids are in heaven!! Very delicious, my favorite too. Have a Happy Easter and a thoughtful Good Friday. So glad you enjoyed them, Bea! They’re a big hit in our house as well. Happy Easter! Yum! 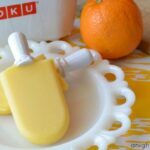 I have been looking into purchasing these Zoku molds and after reading your post I might just have to do it this weekend. These sound wonderful and yes healthier is always better! TGIF! I’m a huge fan of Greek yogurt, so I’m looking forward to trying these out in my Zipzicles that I just got! They look so yummy! All of your popsicles look fantastic! 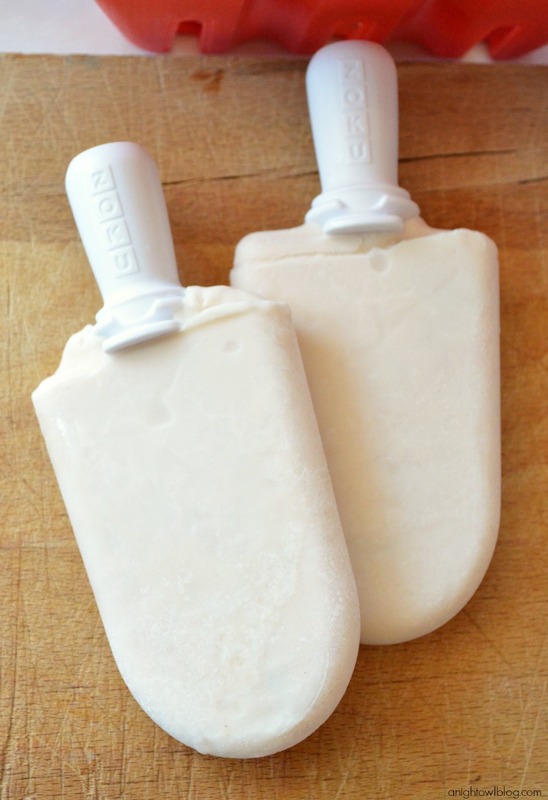 I like the idea of a Greek yogurt pop as an alternative to ice cream. Thank you for sharing with See Ya in the Gumbo potluck. Hey Kim, those look delist! 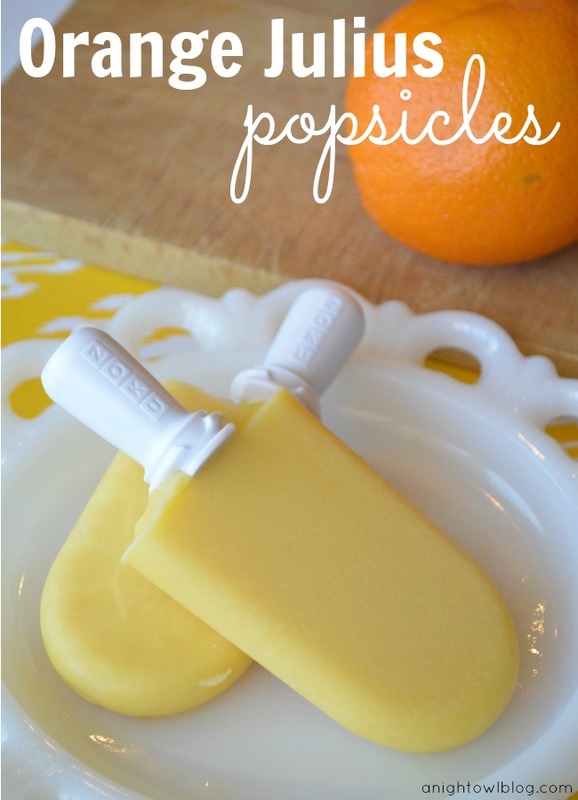 Where can I get those popcicle molds? I love the simple ingredients used in these popsicles, Kim. Thanks so much for sharing at Marvelous Mondays. Pinned. Have a great Sunday and Mother’s Day! 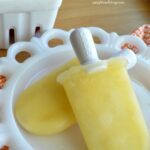 I LOVE popsicles and this post is amazing! You’re being featured at the Project Stash tonight!